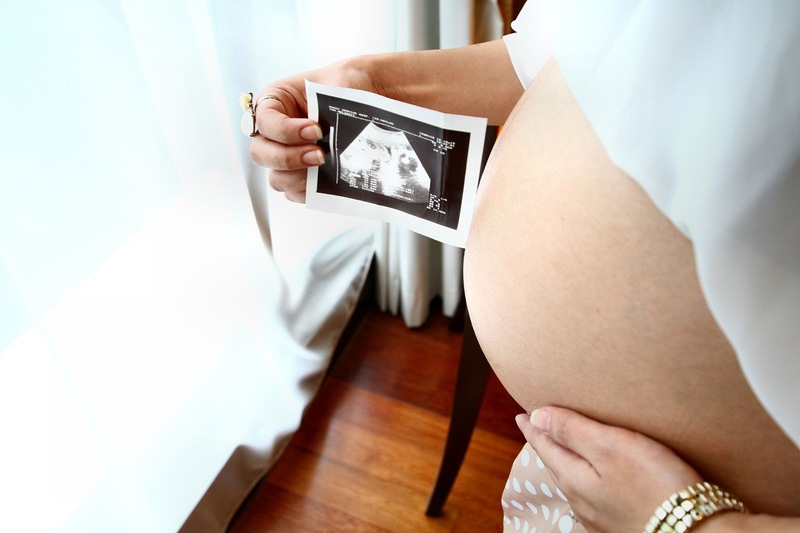 Advances in prenatal testing allow healthcare providers to determine if a fetus will have a genetic disability. This development, and how it relates to a pregnant person’s right to choose how to proceed with the pregnancy, has been the subject of much discussion among advocates for both reproductive rights and disability rights. But you may not realize that, through a reproductive justice lens, both groups of advocates are fighting the same fight. Prenatal testing is viewed by some as harmless expansion of choice. Knowledge of genetic disability allows pregnant people and their families to make informed decisions about their pregnancies, and the births and lives of their children. They may choose to use this information to prepare emotionally, financially, and physically for the unique care the child may require; start marshalling resources and support for the care of the child; terminate the pregnancy; or prepare for the child’s adoption. But a pregnant person’s ability to make the choice is highly constrained by societal factors. The complicated ethics that accompany advances in prenatal testing not only hinge on the right to choose whether or not to have a child (birth versus abortion), but also the right to be supported in that choice (access to abortion care versus family support services). The reality remains that there is a substantial lack of access to societal and material support for a pregnant person choosing either to terminate the pregnancy or raise a disabled child. Pregnant people need to be supported in their choice to terminate a pregnancy even if that choice was primarily informed by the knowledge that their child would be born with a genetic disability. But pregnant people’s ability to make that choice is being eroded at a rapid rate. In addition to the common barriers pregnant people face in seeking quality and affordable abortion care, several states are attempting to prohibit abortion based on knowledge of genetic disability. For many pregnant people, the choice is further complicated by their socioeconomic status. Financial instability may prevent a person from being able to make the decision to terminate, as many pregnant people cannot afford the time off work for the procedure, do not have a means to travel to the nearest clinic (38% of women do not have a clinic within their county), or cannot afford the procedure due to a disparity in insurance coverage. But that same lack of funding may prevent a person from being able to care for a child with a disability. While the pregnant person might desire to have and raise the child regardless of disability, they may decide to terminate nonetheless because they do not have the time, familial support, or financial stability to care for a disabled child. Pregnant people also need to be supported in their choice to raise a child with a genetic disability. Parents need access to institutional programs such as subsidized and free childcare, monetary assistance, and caregiving support. Socially, parents need programs that work to change ableist attitudes that result in discrimination in schools, the workplace, and the design of the physical landscape to ensure their child has a high quality of life. Despite some legislators’ attempts to pit reproductive rights and disability rights advocates against each other, both groups tend to recognize that unconstrained choice means not only having the right to choose, but also having the right to be supported in that choice. This illustrates where advocacy for reproductive rights and disability rights intersect to form reproductive justice. We must work together to ensure accessible social services for people with disabilities and their caregivers, promote accurate information about disability absent of ableist rhetoric, and continue educating others of the fact that we all—disabled and otherwise—benefit from a society that allows us the right and the support to make our own reproductive choices. Alison DeBoise is a volunteer at Legal Voice and a rising third-year student at Smith College. She is passionate about the intersections of disability rights, reproductive justice, and LGBT+ rights. It’s World Breastfeeding Week! While I probably would not have known that before I started volunteering with Legal Voice, I am grateful to take this opportunity to reflect on how privileged I am – to be a mother to two beautiful and healthy children, to live in a place where my children have access to nutritious food every day, and to work in an environment where breastfeeding mothers are provided with the flexibility and resources to be able to continue to feed their babies after they go back to work. I am not going to lie – I didn’t like breastfeeding, and I truly hated pumping at work. But I was grateful that breastfeeding was an option for me and that I was able to exercise my right to do so. Yet, even in 2015, a supportive culture for breastfeeding is surprisingly absent in many places, even within our own community. Whether it is a prospective politician calling a working mom “disgusting” for pumping milk or an employer refusing to allow an employee break time to breastfeed or pump, women continually find themselves in a no-win situation. Many will be judged for their decision or inability to breastfeed; many others will be chastised for doing so. So, Washington mamas, during this national and global week of breastfeeding awareness, here is a friendly reminder that the law is on your side! You have the right to breastfeed in any public place and you cannot be discriminated against (or called out as indecent) if you chose to breastfeed your child in public. Need to breastfeed or pump at work? Federal law requires employers with over 50 employees to give moms a reasonable break time when they need to express breast milk for an infant (feeding directly or pumping), and employers must provide a clean and private place for expressing breast milk. And, by the way, no, it does not count if you are given the ‘privilege’ of sitting on a toilet in a bathroom to do so! State law also encourages employers to create policies that support breastfeeding in the workplace, like allowing flexible work schedules and providing a place to refrigerate breast milk and a way for you to clean your breastfeeding supplies. Talk to your employers if you are not getting the support you need to breastfeed; if you need help, check out Legal Voice's memo Breastfeeding in Washington State and resources from other great organizations. Happy breastfeeding! Jennifer Werdell is the Associate Director of Seattle University School of Law’s Access to Justice Institute. She has been participating with Legal Voice’s Self Help Committee since 2012.